Port Elizabeth pastor, Afrika Mhlophe, believes that his new book, ’Christianity and the Veneration of the Dead’, will help to set people free from the deception that dead people can influence the lives of living people and will help them discover what the Bible says on the issue. In the book, which took him two years to complete, he tackles the issue of ancestral veneration in the greater African context and offers a Biblical perspective on issues such as life after death, ancestors and ancestral spirits, burial rites and practices, syncretism and idolatory. 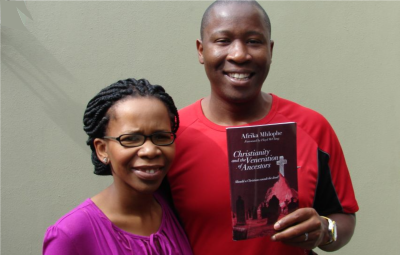 Mhlophe said that he is confident that God will open the doors for the message of the book to spread and impact people who need to receive it — including those who need to be set free, believers who have friends who have unbiblical beliefs about ancestors, and people who are ministering in cultural contexts where ancestral worship is practiced. “God wanted to release the message and the book was the best model. He is the one who will open the doors,” he said. He said he anticipates a hectic season ahead sharing the message of the book on many fronts. “I will be on television, radio, in newspaper, in electronic mediaand at seminars in towns and cities,” he said. 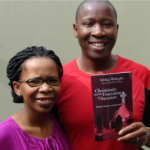 ‘Christianity and the Veneration of the Dead’ , which is published by Salt Publishers, is Mhlophe’s first book. Mhlophe is a regular writer for Gateway News which is also assisting with the sale of the book, which costs R220 (including shipping). The book includes a forward by Floyd McClung, a veteran Christian leader and author.